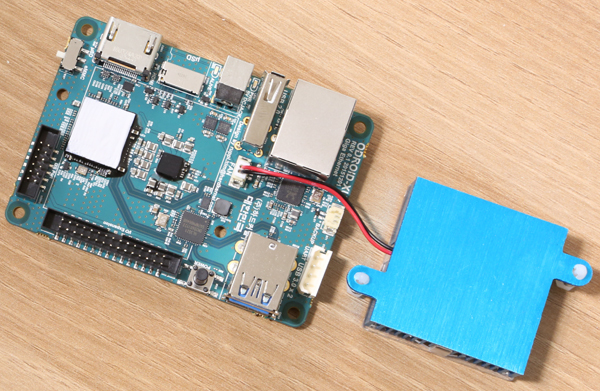 The ODROID-XU4 includes the cooling fan by default. 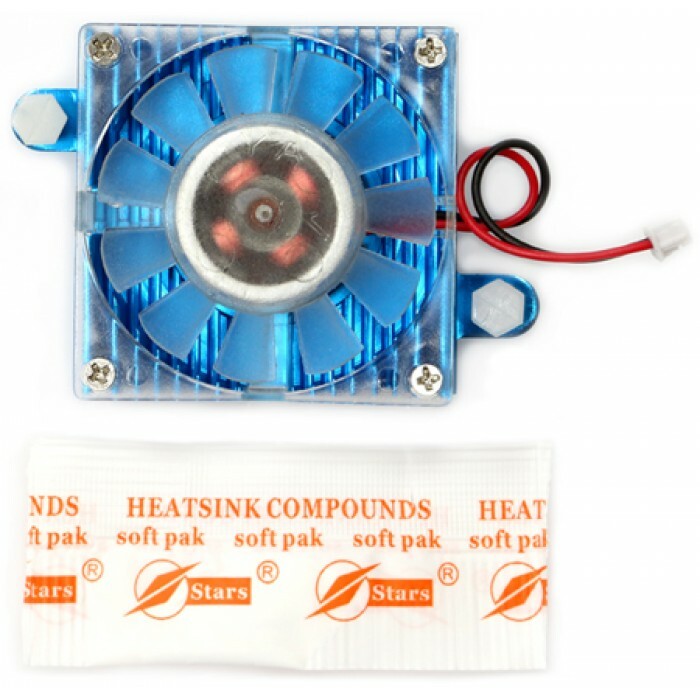 You might need this part when you want to replace the original cooling fan. - Fan speed : 4000rpm approx. - Cable length : 50mm approx. - Noise Level : 23dBA approx. PWM port on ODROID-XU4 2pin header which connector is Molex 51021-0200 / 1.25mm pitch. 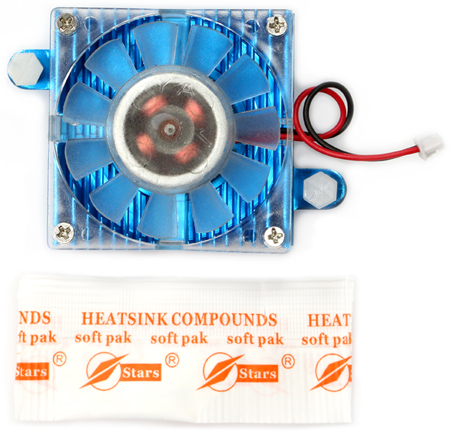 The fan motor speed is controlled by CPU temperature proportionally. Step 3 : Apply the thermal paste on the CPU surface. Make sure to cover the entire surface that will mate to the cooler.